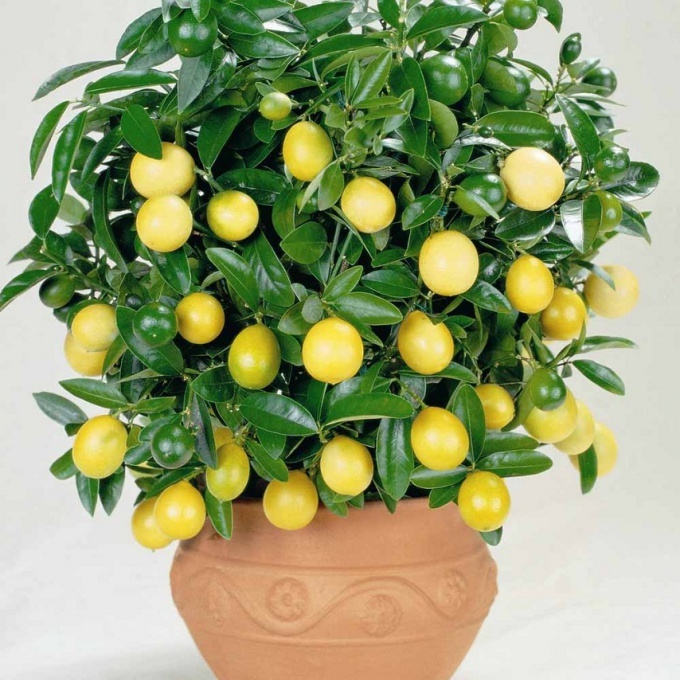 In apartments sometimes you can find lemon trees growing in conventional pots. This plant is quite decorative and looks great in the room, and in winter gardens. But many complain that in spite of all efforts, the lemons grown in the indoor environment, do not produce neither flowers nor fruit. One way to get to the lemon fruit is to graft a kidney is already fruiting lemon. As with all citrus, lemons are considered the most suitable budding "eye". But before grafting the tree should grow strong and have a fairly thick trunk and branches. Practice beforehand on other plants – willow, lilac. Choose the right time for vaccinations. It must produce when the tree is in the phase of active SAP flow at this time his bark easily separates from the wood. To find out what this term has come, you can by the presence of 5-6 leaves on young growth. In that case, if the bark is lagging badly, the vaccine will likely not take root. Okulirovannyh knife, make a thin slice of kidney with stem fruiting lemon. Then, make a T-shaped incision in the place where you will instill a kidney. Separating the kidney, keep it in the petiole of the leaf, not touching the slice with your hands. The reverse side okulirovka knife, special metal plate fold back the bark on the cut and put it under the grafting kidney. Smoothen the same plate the cut, bring the bark to its original state. Carefully perform the piping, do not leave gaps through which can evaporate the moisture. Tying should be tight enough to provide a complete reconciliation of grafted kidneys. For this, use the sticky tape or bandage. To be safe, get vaccinated 2-3 buds. Root buds within three weeks. If the petiole near the eye began to turn yellow and then opal, then your vaccination was successful. Remove the part of the branch at a distance of 10 cm from the inoculated buds, remove the bandage and remove the shoots at the bottom of the plants to develop better vaccinations. To graft went well, you should know a few tricks: use a very sharp knife with a completely clean blade, it should be free from dirt and especially grease. In addition, the operation should not take much time if the Scion and rootstock will dry out, it will greatly reduce the chance of success of inoculation. Learn to make the vaccination "a single motion".